Chamber music lovers have two more chances to enjoy the beautiful violin sonatas of Ludwig van Beethoven: a free concert Thursday afternoon and the finale of SummerFest’s salute to the great composer on Friday night. La Jolla Music Society has assembled an unusually spectacular program, bringing together over just four days this summer all of Beethoven’s incredible ten violin sonatas. These compositions are at the heart of his chamber music for the violin with, of course, accompanying piano. These pieces showcase the language that allowed Beethoven to change music forever. This revolutionary new music came just as the French Revolution was altering world history. Beethoven was right in the middle of these world shattering events, dedicating compositions to the revolution and then to Napoleon. The musical history of the day has rivaled, and culturally even exceeded, the political history of the time. The Thursday afternoon free “Encounter,” will be staged at 12:30 p.m. at the Athenaeum, 1008 Wall Street in La Jolla. Attendees will hear Sonata in F Major, Op. 24 “Spring” performed by violinist Jennifer Koh and pianist Scott Cuellar. 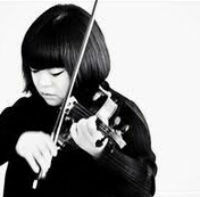 On Friday night, “Beethoven IV” will feature violinist Yura Lee and Gilles Vonsattel on the piano concluding with Sonatas in E-flat Major, A Minor and G-Major. The musical prelude Friday evening at 7 p.m. will also feature the Ulysses Quartet with Beethoven’s String Quartet in A Major. Tickets are still available at www.ljms.org. Even for a concert goer who has enjoyed this work the underlying compositional brilliance has not always been clearly understood. Of course a lifetime of Beethoven’s classical composition can be enjoyed for beauty, harmony, soulfulness and amazing invention. A deeper understanding of his work, particularly beginning in 1800 just as he was turning 30 and first realized that he was going deaf, is also part of what is made more transparent at SummerFest’s preludes, encounters and open rehearsals. A classical music lover can be deeply grateful for this exposure to Beethoven and the classical music for the ages. Even beyond the chamber music itself, there are important benefits. The program notes are always written for clear understanding by Eric Bromberger. This great interpreter has been doing this work for more than four decades and is deeply appreciated by SummerFest patrons. Material for each of the many events at SummerFest is made available in fine background notes presented in the festival program book. Of particular help this summer have been prelude lectures by Nuvi Mehta—a gifted violinist himself but also the regular resource for the San Diego Symphony. 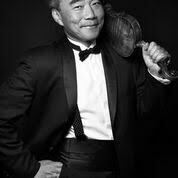 On Tuesday, Aug. 15, three great examples of Beethoven’s sonata form were presented in a special treat by violinist Cho-Liang “Jimmy” Lin paired with Jon Kimura “Jackie” Parker — the world-class pianist and his fellow professor at Rice University’s Shepherd School of Music in Houston. SummerFest patrons are particularly devoted to Jimmy. who has also been the festival’s music director for 17 of the event’s 32 years. The audience rose to their feet in admiration for Beethoven of course but also with appreciation for the performances of Jimmy and Jackie. The formal events are being held this summer in the acoustically wonderful Conrad Prebys Concert Hall at UC San Diego, while La Jolla Music Society’s new formal home, The Conrad Prebys Performing Arts Center in the heart of La Jolla Village, is under construction with opening scheduled in 2019. Barry Jagoda, an award-winning broadcast journalist, was special assistant to President Carter for media and public affairs. He recently retired as director of communications for the University of California, San Diego.